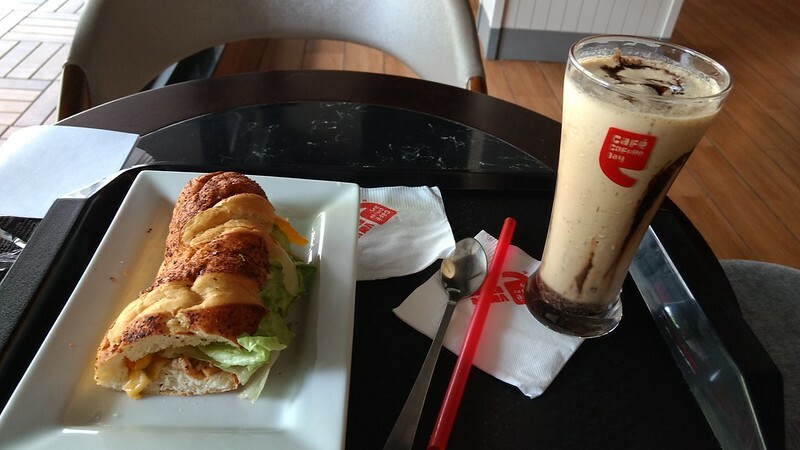 India’s largest coffeehouse chain, Cafe Coffee Day, is one of the places I mostly have visited for a (usually) cold coffee/frappe fix and a little bite to eat on weekends or other days that I am free. 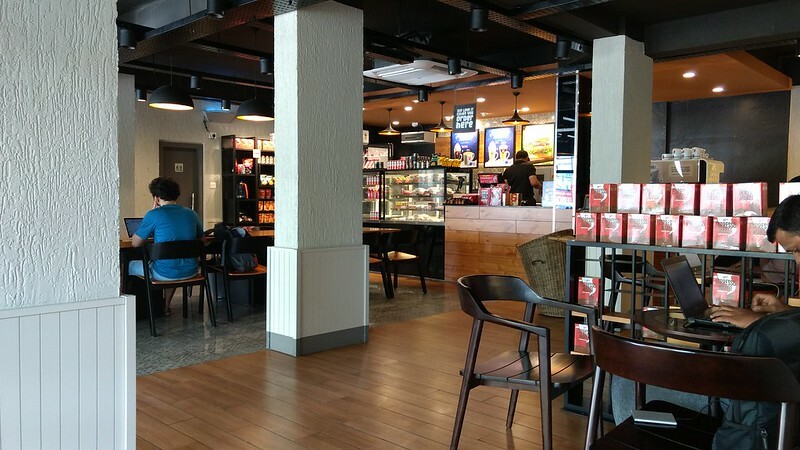 Ever since 2006 I have frequently CCD but in more recent months – since 2015 – I have preferred the more independent chains as even though CCD still has probably some really good frappes/lattes and other beverages, their snacks and sandwiches are very lacking. Still it is convenient as they now have 3 outlets near me and one small one in Lulu Mall which is a place I go for movies. 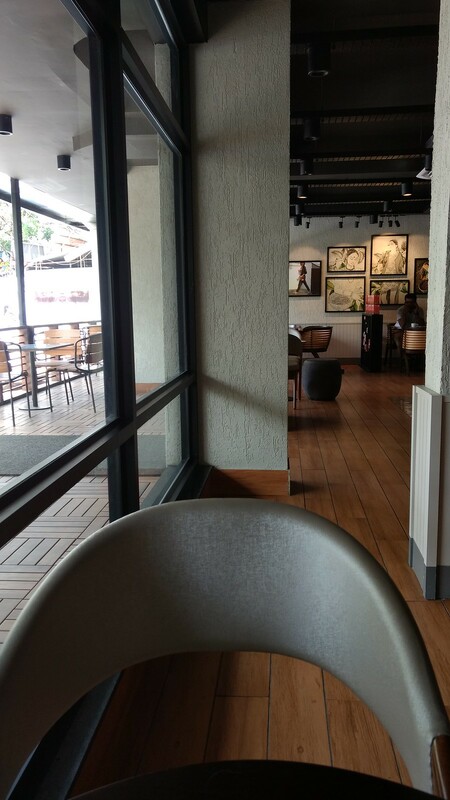 Yesterday I visited their newest outlet in my city and which is also very close to my residence. 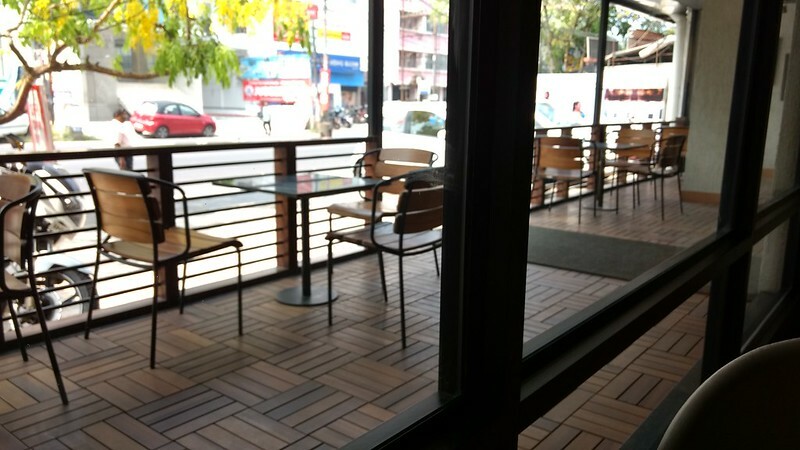 It is the spanking, brand new outlet on Kaloor-Kadavanthara road. It was opened in November 2017 and is a pretty cool place to while away some time in, while drinking your caffeine intake for the day.